The Lost Angeles: Piña colada! 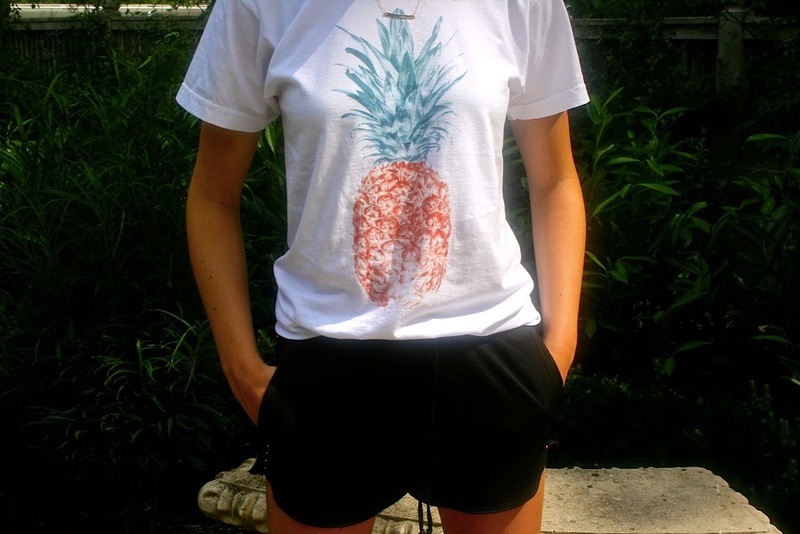 This Sincerely Jules pineapple tee is probably my new favorite tee shirt. 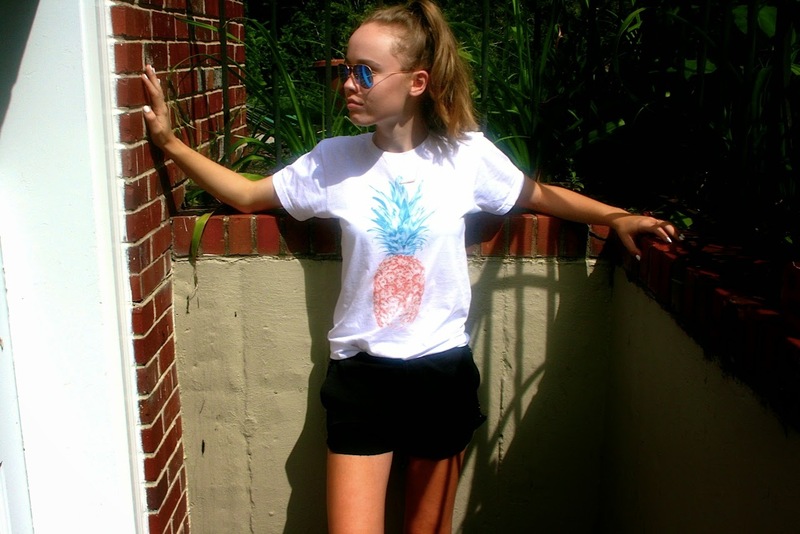 I mean, who doesn't love pineapples?! I feel like they have been all over clothing this summer... 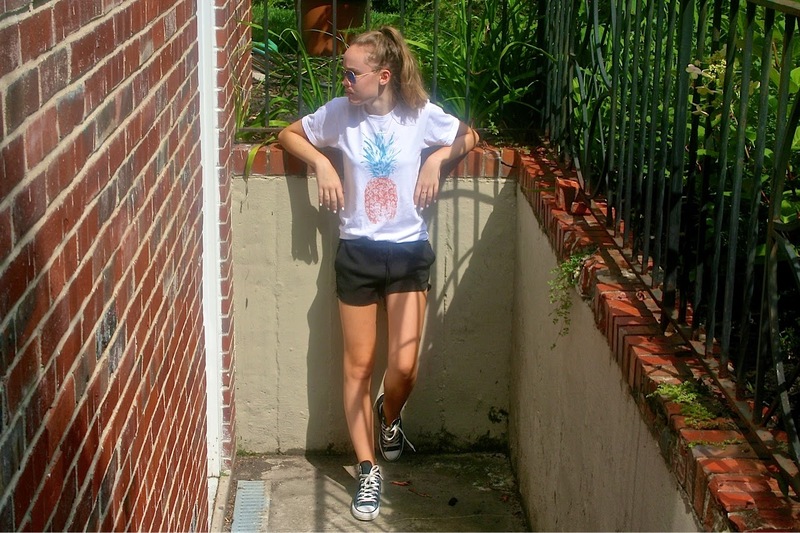 I wore the tee with my Zara black shorts and all time favorite shoes, high-top Converse. This outfit was a perfect relaxed summer day look overall! Aww you're so sweet!! Thank you!! You made my day! Oooo I'm loving this tee! I love pineapple print at the mo!